Each month we put out a newsletter to all of our Wake Foot Sanctuary guests. We post the newsletter to our website after our followers receive it. 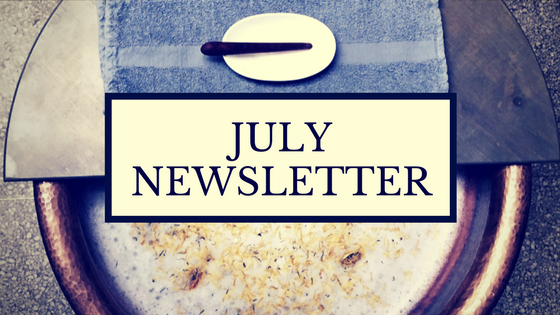 Here’s a sneak-peek into what’s going on at Wake in our July newsletter. Shout your love from the rooftops! We’re offering local foot soakers the opportunity to come in and soak with us for free! Guests scheduled for appointments on July 26th who agree to participate in a promotional video after their service will receive their soaks for free! If you’re a Wake fan and would like to show your love book an appointment any time for Wednesday, July 26th and let us know you’d like to participate. If you have any other questions you can reply to this email directly or send a message to info@wakespa.com. Since launching US sales of franchises for Wake Foot Sanctuary, we have fielded franchise requests from 10+ states and now have several candidates proceeding through various levels of the qualifying process. It’s so exciting to share business discussions with these candidates and hear about what they are looking for with ownership of their own Wake Foot Sanctuary. We are so thrilled for what will be unfolding this year. For more information about Wake franchise opportunities in your area, email us at franchising@wakespa.com or visit us at ownawakefootsanctuary.com to learn more.